An historic milestone was reached on New Year’s Day 2017 when the International Maritime Organization’s Polar Code for Ships Operating in Polar Waters came into force. The ‘Polar Code,’ as it is widely known throughout the maritime world, is designed to improve marine safety and enhance protection of Arctic peoples and polar marine environments. It is a groundbreaking marine governance regime for the Arctic and Southern oceans. The code establishes a set of mandatory and voluntary international standards for new and existing commercial ships and passenger vessels (all 500 tons or more) operating in Arctic and Antarctic waters. 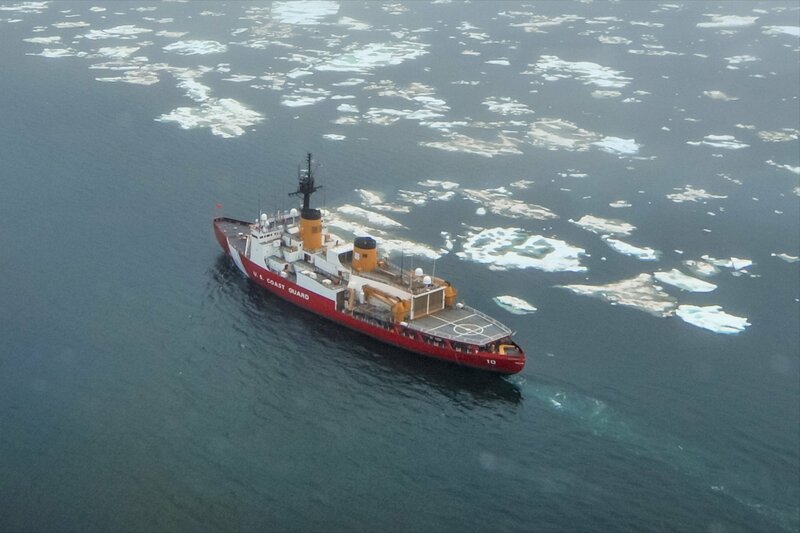 In contrast with Canada’s Arctic Shipping Pollution Prevention Regulations and Russia’s Rules for the Northern Sea Route — both long established within national statutes — the U.S. has lacked any special polar ship rules and regulations to govern marine operations in its maritime Arctic. This situation will change quickly as the U.S. Coast Guard begins to implement and enforce the many elements of the Polar Code during a two-year, phased application to ships sailing on international voyages in Alaska’s polar waters. Canada and Russia are engaged in merging their national regulations with the Polar Code; Denmark (for Greenlandic waters) and Norway (for Svalbard) are taking measures to implement the Code in their Arctic waters. The Polar Code will be applied in all Antarctic waters south of 60 degrees south. This boundary around the Antarctic continent corresponds to the northern boundary of the Antarctic Treaty. In the Bering Sea, the code’s boundary has been established at 60 degrees north to correspond roughly with the winter maximum extent of sea ice and as an added measure of protection for the region’s world class fishery. The code’s boundary in the North Atlantic has been adjusted to take into account its warmer waters and runs south of Greenland, north of Iceland and Norway, and intersecting east of Russia’s Kola Peninsula. These marine areas are well north of the Arctic Circle and remain ice-free throughout the year. Importantly, the Polar Code is a set of amendments to existing IMO agreements, or conventions, on safety, environmental protection and mariner qualifications including experience and training. New ship structural standards and marine safety equipment have been developed that are relevant to operating in remote, polar waters. A Polar Ship Certificate issued by the flag state (nation under whose laws the commercial ship is operating) will be required as well as a ship specific Polar Water Operational Manual. Discharges of oil and noxious liquid substances are prohibited in polar waters under the Code; limits are placed on the discharges of sewage, garbage and food wastes. New requirements and a certification process for polar experience and training for all ship’s officers and crew will be in force by January 2018. The history of the Polar Code dates back to the 1993 formation of an outside working group to IMO that drafted the first framework document. The IMO initially developed voluntary guidelines for ships operating in Arctic ice-covered waters. By 2009 the guidelines were updated by IMO to include ships operating in polar waters, regardless of the presence or absence of sea ice. In 2010 IMO’s key marine safety and environmental committees began the lengthy negotiation process for a mandatory Polar Code that was recommended by the Arctic Council in its 2009 Arctic Marine Shipping Assessment. All eight Arctic states share the challenge and responsibility of showing strong leadership in the Polar Code‘s implementation and enforcement. There may be key, cooperative roles that the new Arctic Coast Guard Forum can address in this process. The ship classification societies and the marine insurance industry will be important players in evaluating the future risks of polar ship operations and assisting the flag states in the code’s implementation. The IMO will continue to develop future polar-specific rules addressing such issues as heavy fuel oil use in the Arctic, ship emissions controls, and future discharges. Quietly, New Year’s Day 2017 was among the most monumental dates in the history of the Arctic Ocean. The IMO’s Polar Code will long be remembered in Alaska and throughout the circumpolar world as a seminal achievement that advanced protection of Arctic peoples and the marine environment while creating a uniform, nondiscriminatory set of rules and regulations, essentially a level playing field for future Arctic marine operators. And critical additions to the Polar Code will evolve in the years ahead further making it a centerpiece for governance of Arctic shipping and marine operations in the 21st century and beyond. Dr. Lawson Brigham conducts research at the University of Alaska Fairbanks’ International Arctic Research Center and has worked on the Polar Code since 1993. He is a fellow at the U.S. Coast Guard Academy’s Center for Arctic Study and Policy, and a Senior Fellow at the Anchorage-based Institute of the North.